Here I'll explain how to hack the passwords or RAR and ZIP files. If a compressed archive is protected using a password you can only access them after providing the password. So, if you forgot your password, you cannot access th files in it. There is nothing to worry, We can hack them by using the software I provided here very easily. This software has two methods of recovering the password. They are Brute force attack and dictionary attack. For detailed instructions, read below. Dictionary attack means to try some usual passwords that eveybody creates, for eg: paswords like "princess", "1234", "password" etc. This method is not much powerful. Yet it can give some hope. The other method is the most important and popular method of cracking passwords, ie: Brute Force attack. In this method, it checks the password by using all the combination of alphabets, numbers and symbols in a keyboard. That means, by using this method you can hack any password of any encryption. The disadvantage of this one is that it takes much time if the password is greater than 4 characters. 1. 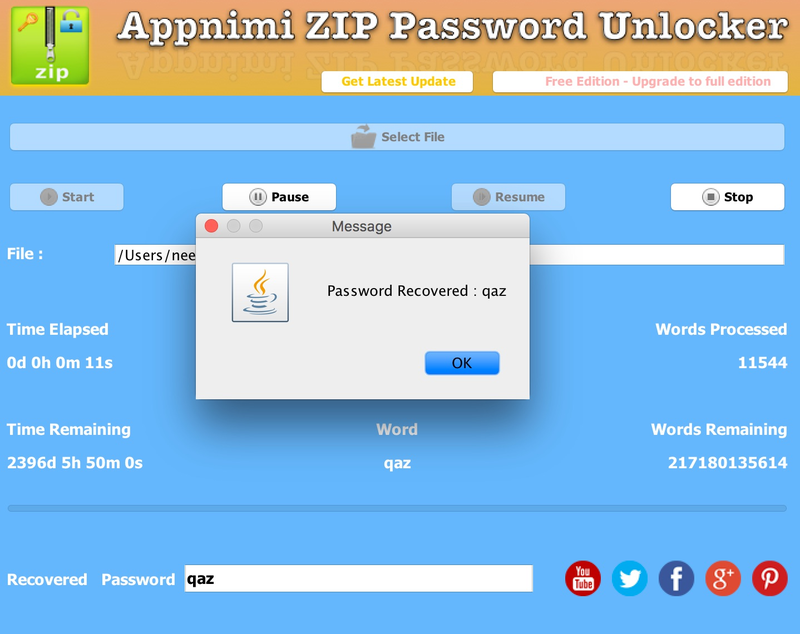 Download Zip password Unlocker or Rar file unlocker from below. 3. 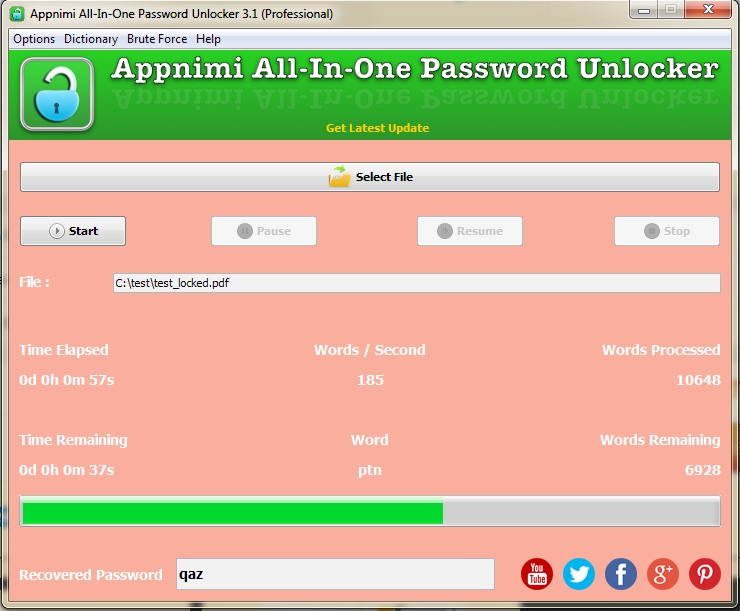 Now on input tab, Select your file which you want to crack and fill necessary informations like password lengths etc. 3. Better to try Dictionary attack first. Clik Dictionary attack tab and select your dictionary passwords file (which is pre installed with the software). Then click Start. It will show the password in a text box, if found. 4. If it fails, you can try brute force attack. Click brute force and then start. After cracking, password will be shown in a text box. 5. That's it! Now you have recovered password from your Zip/rar file.